Answer this question: How many hours are you working in your business each week? If yours is a full-time gig and you’re like most small business owners, it’s upwards of 40+ hours. Now, work out how many of those hours actually contributed to making your business grow. Unless you’re extremely disciplined, it’s likely that half of those hours, at least, were devoted to tasks and work that doesn’t directly impact your growth. Worse still, because we work such long hours, we may find that we spend some of that time doing completely unproductive work. Think about how often you’re tempted to scroll through your Facebook or Instagram feeds and you’ll know what I mean. For most small business owners, it’s easy to think that working long hours is necessary, but is it really? We’re all busy, with our families and our clients, but sometimes we fail to realise that busy-ness is not always productive. 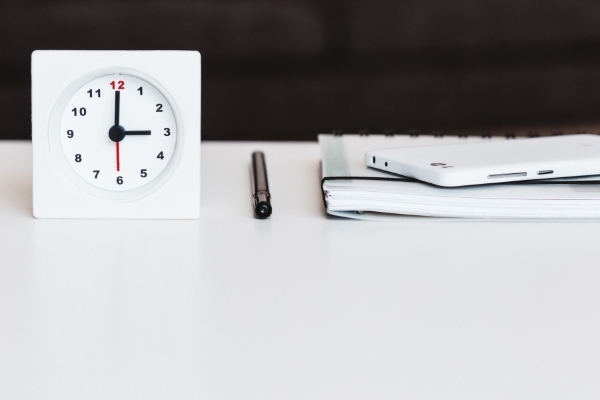 Studies have shown that working longer hours can disrupt our sleep or lead to depressive illnesses, so it’s important to everyone that you manage your hours efficiently. But how? If you find yourself working excessively long hours, then maybe it’s time to re-evaluate your priorities. You need to shift your focus to only doing the things that matter. I hear you – easier said than done. Browse the internet and you’ll find any number of articles about the top 50 things that successful do to manage their time better. If that title isn’t enough to make you want to shut up shop and become a Tibetan monk, then there’s one thing you can try: set your own business hours. Yes, that’s right, set the times that you’re willing to work. They can be whatever you choose, but set them you must. You must also be disciplined about it and don’t deviate. I hear your howls of “I’ll never get anything done” or “I’m overwhelmed with work”. It may be the case that you are truly overwhelmed with work, but in the end, it’s your responsibility to manage how much work you have to do. And working yourself into an early grave is not the big reward you have planned for yourself, is it? Ain’t that the truth? You need to set reasonable timeframes to complete work, but give it no more time than it needs. When you set a hard and fast finishing time each day, you will find that you’re pushing yourself to get your work done each day. This one little life-hack has had remarkable benefits for me. I used to work long hours in the office. I hate commuting with a passion, I see it as a waste of good working time! As a result, I found myself staying at the office for up to 14 hours a day. I was miserable and the additional hours were not in any way, shape, or form, improving the way the business operated. I’ve overcome the compulsion to stay in the office by setting a time to leave each day. Now, I’ll admit that there are some days where I will break my own rule, but I don’t make a habit of it. And here’s another thing I do: some days I will deliberately go in a bit later than normal. Of course, I plan for it, so that it minimises the disruption to our clients. The point is that I am teaching my brain to be flexible. Research has shown that maintaining a habit that is detrimental to our health creates neural pathways in our brain and the longer we do it, the more hard-wired those neural pathways become. Think of old Aunt Joy who constantly complains about her health. She has hardwired her complaining mindset. Although she doesn’t know it, she’s now always looking for problems with her health. She may never recognise that her thinking that she’s constantly ill is actually contributing to her general unwellness. The same goes for our businesses. If we are constantly lamenting the fact that we work our fingers to the bone and we never seem to get ahead, then that is exactly how it will be. The key to breaking this “woe is me” habit is to change one thing that is making us miserable. In this case, it’s your working hours. When you first begin doing this, you may find that you’re feeling a little guilty about the work that is sitting there waiting for you. Try adding something pleasurable to the end of your day, so that you look forward to finishing. Maybe it’s a walk in the park with your significant other, or sitting on the deck watching the sunset. Or perhaps you could start that repainting that you’ve been promising to do for years. In any case, you’re going to give your brain a circuit breaker and purposely switch off from the business. I’m not here to tell you that you must immediately start working a 4 hour week. It’s up to you to decide how many hours you’re willing to work. The whole point of doing this is to relieve some of your stress, not to pile additional stress upon you. You can try the gradual approach, by “shaving off” just one half hour each day. Then as you become more confident about getting the work done, shave off another half hour and so on. You may even choose to break up your hours. Finish working at 4pm and spend 4 hours with the family. Then work another hour or so before turning in for the night. Perhaps you could start earlier in the day when it’s quieter? That way, you can finish earlier and still ensure you have adequate time to complete the work that you need to do. I know I keep harping on about it, but you may need to consider how you can reduce your workload by getting someone else to do the work for you. Hire a VA or employ someone part-time. If you’re not getting through the day to day work, then odds are that you’re not getting to the work that builds your business. It’s a catch-22 situation I know, but sometimes you have to spend some money to make some money. Not sure what you can outsource? Here’s something I prepared earlier. In the end, it’s important to remember that your business is not your life, it’s only a part of it. You can be kind to yourself and still have a successful business. And, let’s face it, what is the point of having a successful business if you won’t be around to enjoy it? I would love to hear how you’ve structured your day to reduce your overwhelm. Comment below and let me know.